During the heydey of the late 19th century, Charlotte enjoyed a reputation as a bustling mill town. Many of the since-modernized structures still dot our landscape; examples include Atherton Mill in South End and Highland Mill in NoDa. One such former mill, located in Optimist Park just north of Uptown, barely warrants a long glance driving by on Parkwood Avenue. This parcel that time forgot has been recently rebranded as Tompkins Hall, and will receive a major facelift that should transform a hodge-podge complex of mill buildings into 134,748 square feet of entertainment and office space. 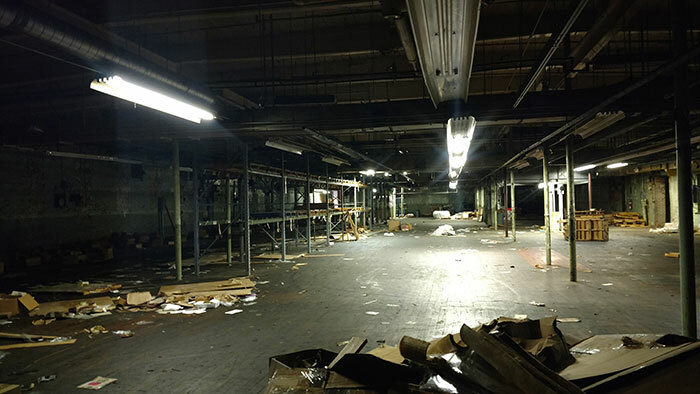 The mill’s rehabilitation effort is a joint venture between Charlotte’s White Point Partners and Atlanta’s Pace Properties. The property sits at Parkwood Avenue and 16th Street, a quick three-minute walk from the Parkwood Station light rail stop, set to open in mid-2017. 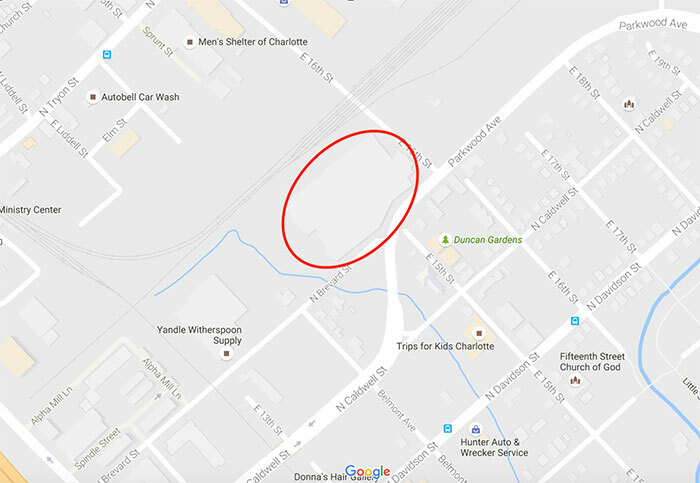 The property also sits at a fortuitous intersection for pedestrian traffic, with the Cross Charlotte Trail cutting a corner of the property. “When the light rail opens, you’re going to see here what happened in South End,” adds Erik Johnson, a partner with White Point. Demolition of a later-added building will free up 7,000 square feet of courtyard space, which will comprise the heart of the project. 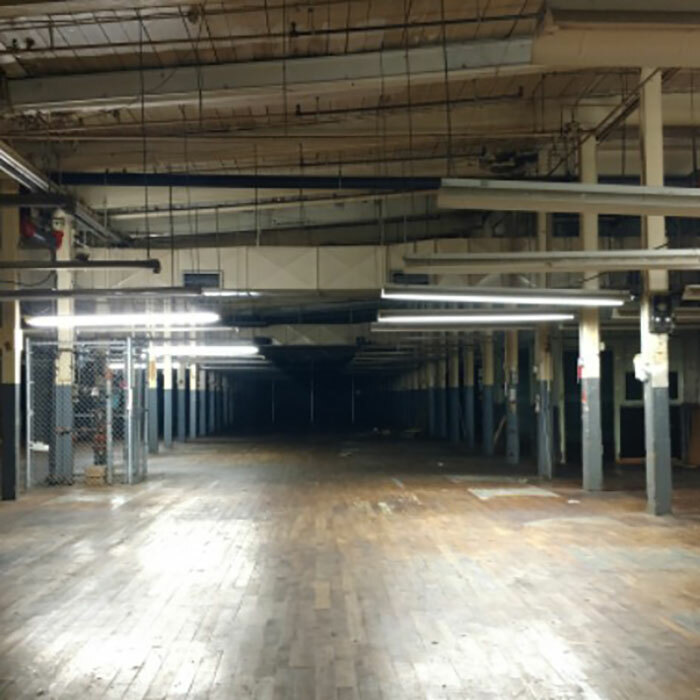 Ceilings throughout the mill are unusually tall, ranging from 14 to 18 feet. Former windows, since bricked up, will be recut to allow for an abundance of natural light into the now-darkened spaces. 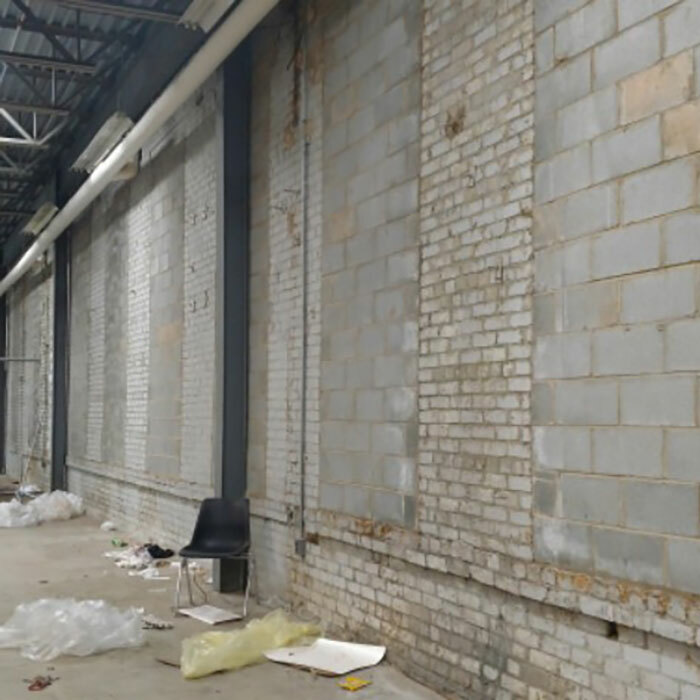 A food hall, a concept that Pace Properties has found success with when developing Krog Street Market in Atlanta, will flank the courtyard on one side. Areas reserved for restaurants and bar concepts will occupy mirroring space opposite the courtyard. A majority of the former mill, over 80,000 square feet, will be occupied by office space. The earliest building in the complex went up in 1892, with other structures following throughout the next century. Cottonseed oil, used in on-site textile manufacturing, soaked into the hardwood floor and left an indelible smell of crayons. In 1907, the mill was the third-largest American producer of gingham. In 1990, 650 employees of the Highland Mill reported to work. However, since 1994, much of the space was reduced to storage area. In early 2018, Tompkins Hall will open to the public, a far cry from the original use envisioned by the mill’s designer (and the project’s namesake) D.A. Tompkins.